There is no other way to say it; yesterday’s announcement was an unmitigated disaster for Correctional Officers. Seven years of hell, then a year and a half of trying to work with the new Governor … followed by the best possible outcome, Walt Monegan became acting Commissioner. It would be an understatement to say things were looking up. Walt’s sincere support and concern for Officers and all Corrections personnel was the culture change this Department needed. Unfortunately, this is also probably why he is no longer acting DOC Commissioner. 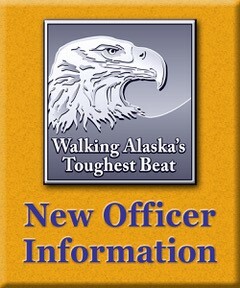 Obviously, some of our friends and fellow Officers are hurting more than others because of Dean Williams’ appointment. Everyone was hurt by his depiction of Officers in the press, but having your face all over the news and accused of being responsible for a death, all while conducting your duties as trained and per policy, is horrific. Then to have the Governor name the same person responsible for releasing the video with false statements as the new Commissioner, is downright scary. We cannot have a Commissioner discipline COs for doing their jobs, who thinks pepper spray is cruel, and every time an inmate dies thinks it is somehow a CO’s fault. No one, absolutely no one from the State or DOC, stood up publically for Correctional Officers, no one said, they did what they were supposed to do. We had to act and defend the Officers, not that it will reverse what has already been done, but we had to try to prevent more videos being released with more false statements. We must rebut the report. COs cannot be second guessing themselves every time there is an incident or an inmate acts out. No one wants to be accused of excessive force when an inmate dies from an overdose, but at the same time you are expected to do your job. It is a no win situation. You should know that we tried to work this out with Dean Williams (more than once) as well as the Governor personally. We beseeched Dean Williams to stop releasing videos with a false narrative, and give us time to show him where he was wrong. We were not only ignored, but they then released the Kobuk video, again with an extremely false narrative, and someone altered the video by removing the audio. Of course removing the audio from the video allowed them to portray Kobuk as a victim whereas the audio of him screaming that he was going to kill Officers and that he wanted to splatter their brains all over the wall, did not fit in Dean Williams’ false narrative of “bad Officers”. Bottom line, Dean Williams wrote a false report, he left out vital information and someone altered evidence. If a Correctional Officer had done any of these things, they would have been fired. There is a lot to say, a lot to do. In the meantime, do not be disheartened. We have been through tough times before and we have always prevailed. Before betraying Correctional Officers, before disrespecting Correctional Officers publically, before putting Correction employees at risk, they should have checked the record and found out just how successful Correctional Officers have been at defending themselves. Hang in there. Take care of each other. There will be lots to come, but for now below is the Press Packet that we sent today.